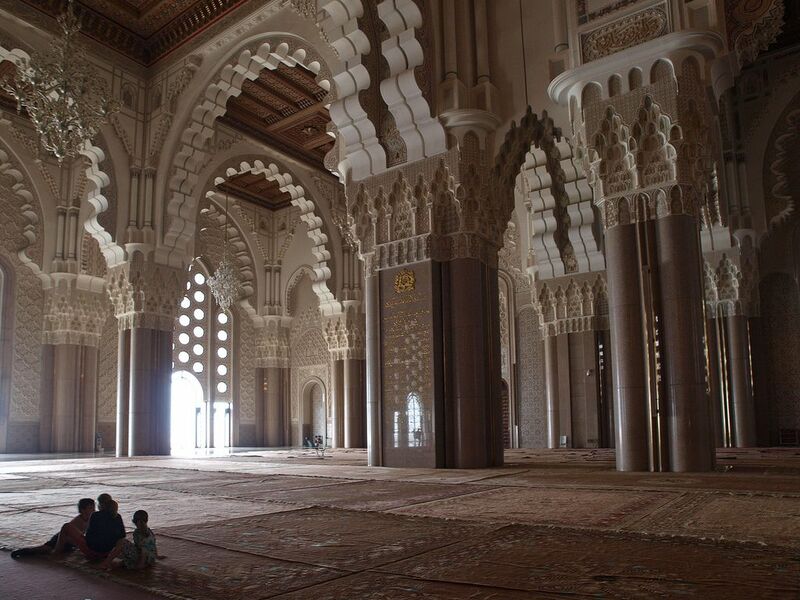 Located in the deep south of Morocco, the Draa Valley stretches from the city of Ouarzazate into the Sahara Desert. 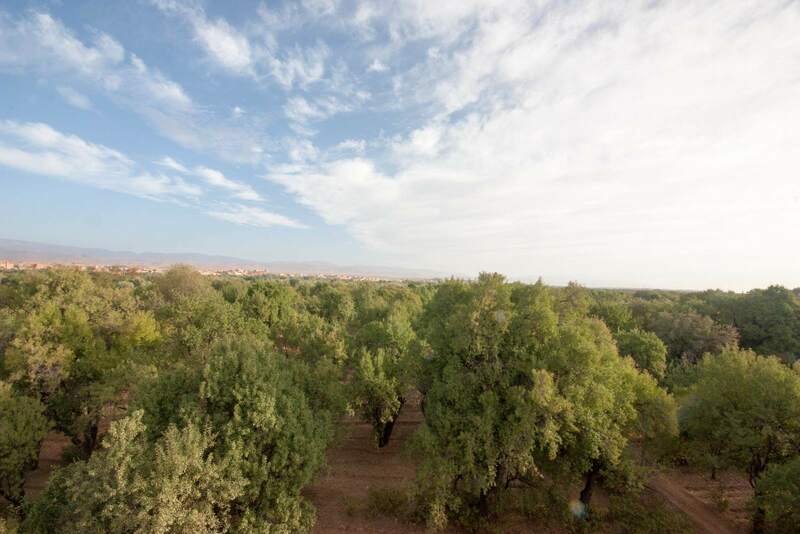 The Draa River Valley is over 100 kilometres in length. 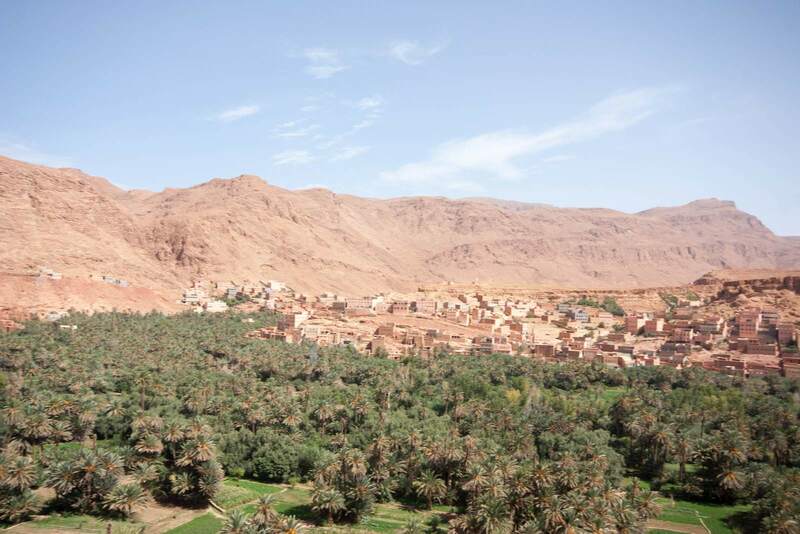 The Draa Valley is a stunning oasis home to Berber villages, sumptuous Kasbahs, streaming sand dunes, lush green plains, snow-capped Atlas Mountains, endless stretches of palm trees and the Draa, Morocco’s largest river. 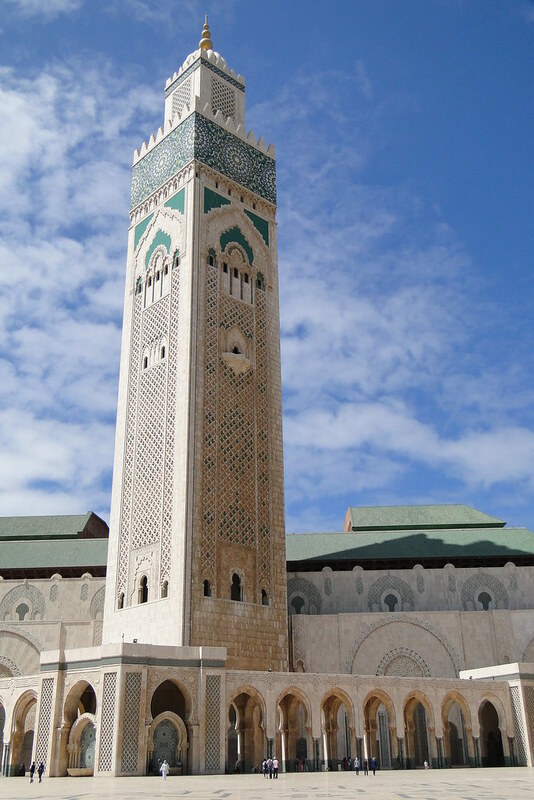 It was once an important transit point on the trans-Saharan caravan route as well as an important center for Jewish civilization and Arab learning and religion. 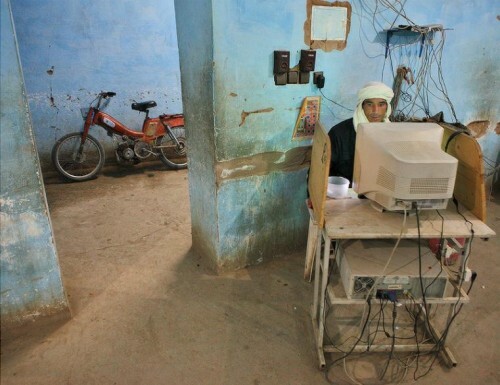 225,000 people live in the valley of the Draa, which measures 23,000 km². 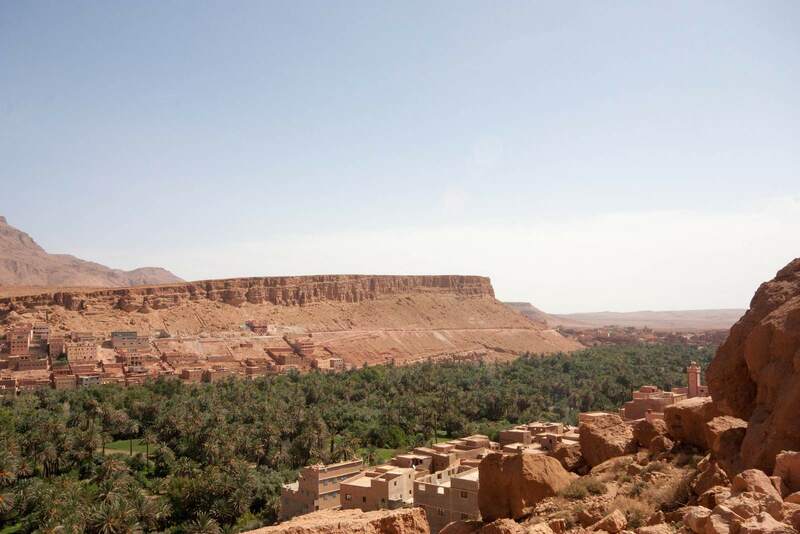 The valley corresponds with the province of Zagora, created in 1997, in the Souss-Massa-Drâa region. 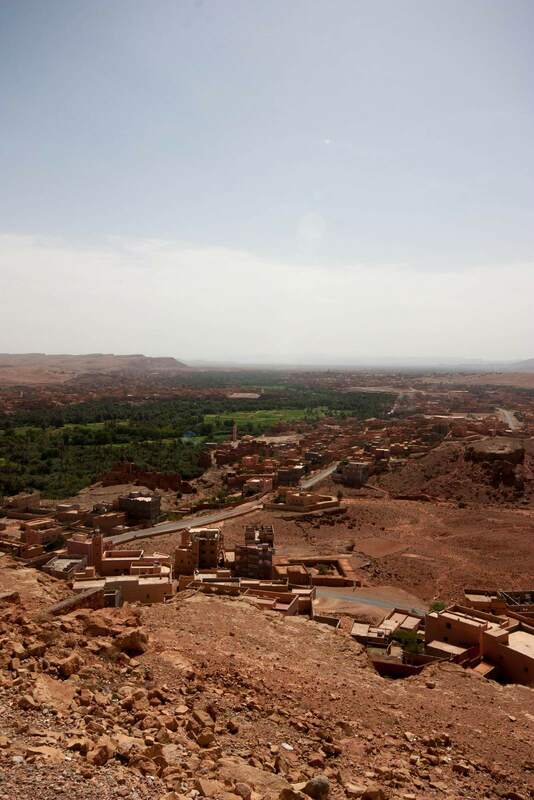 In the province there are 23 villages and two towns: Zagora and Agdz. 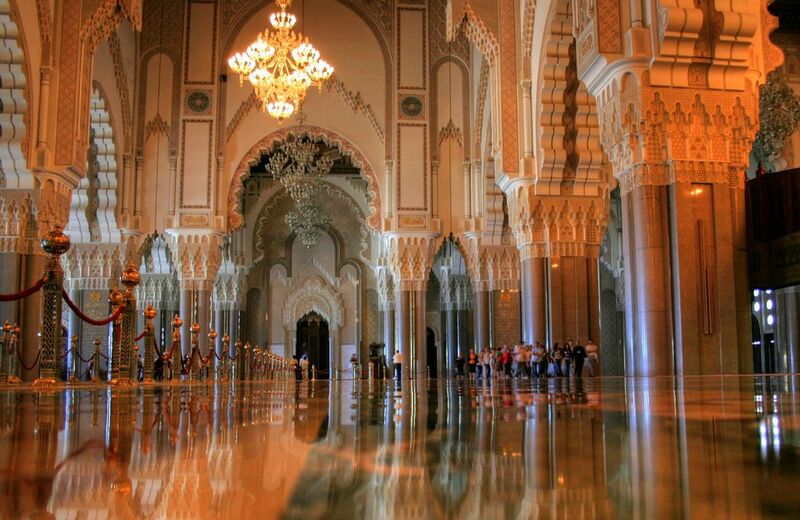 This phenomenal building is the world’s third-largest mosque designed by architect Michel Pinseau. 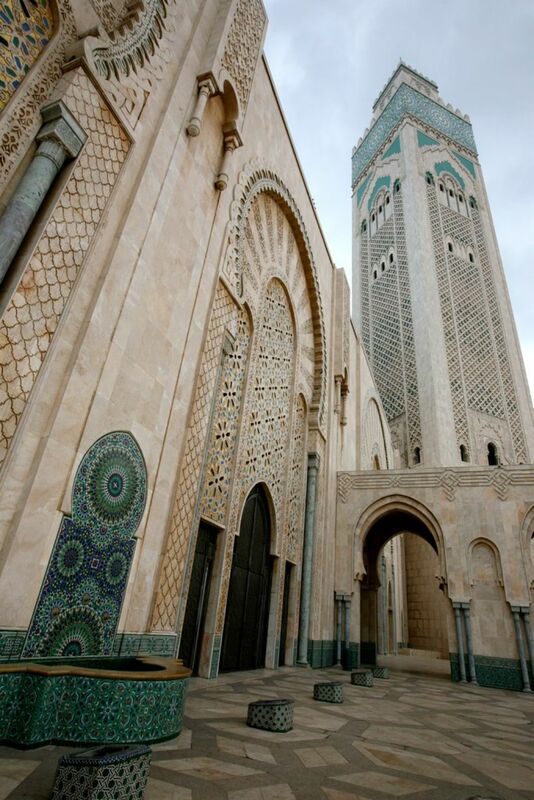 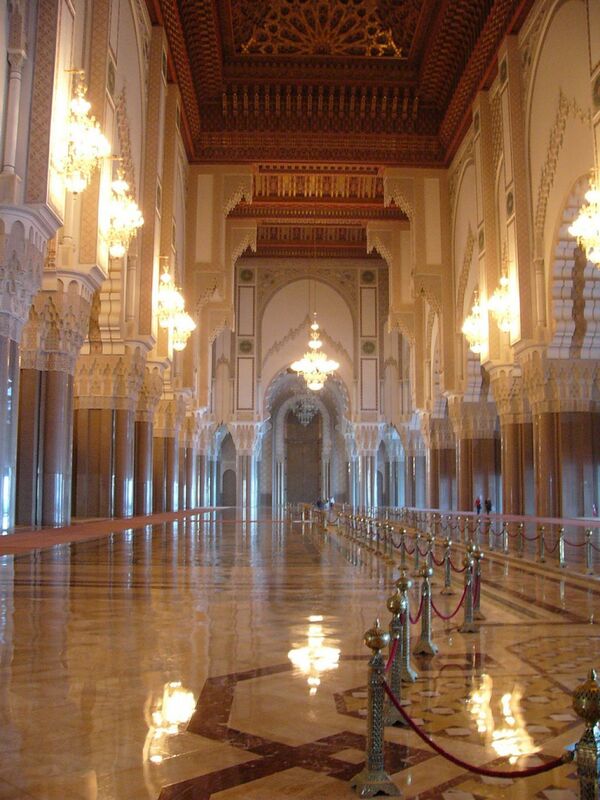 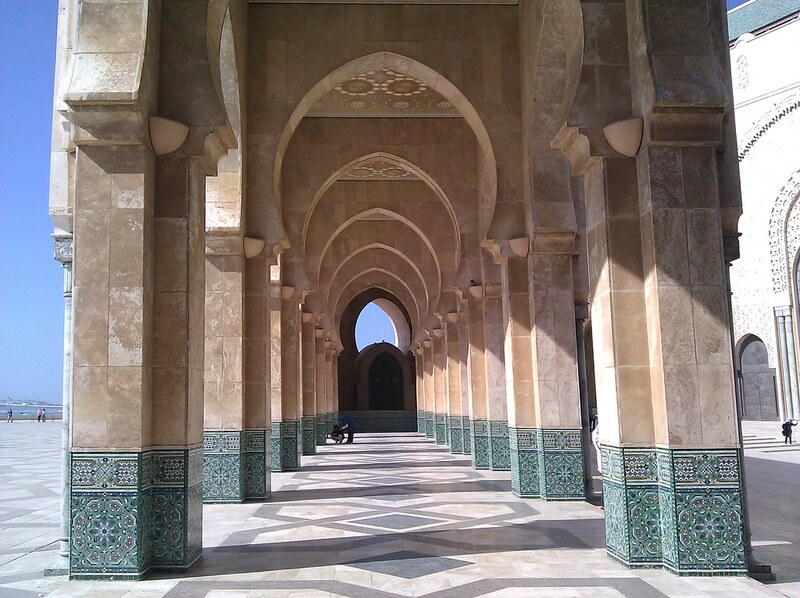 Hassan II Mosque was built between 1986 and 1993 for the 60th birthday of former Moroccan king Hassan II. 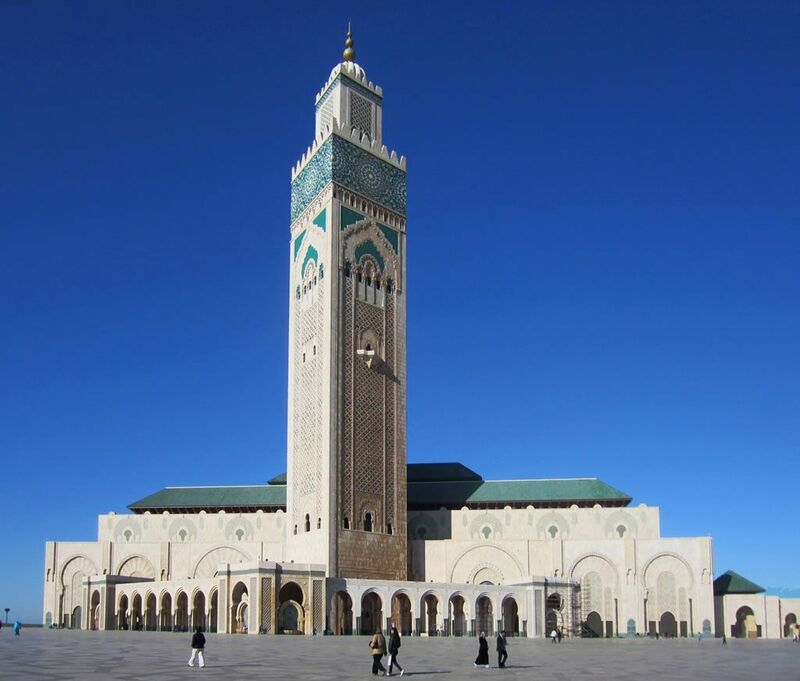 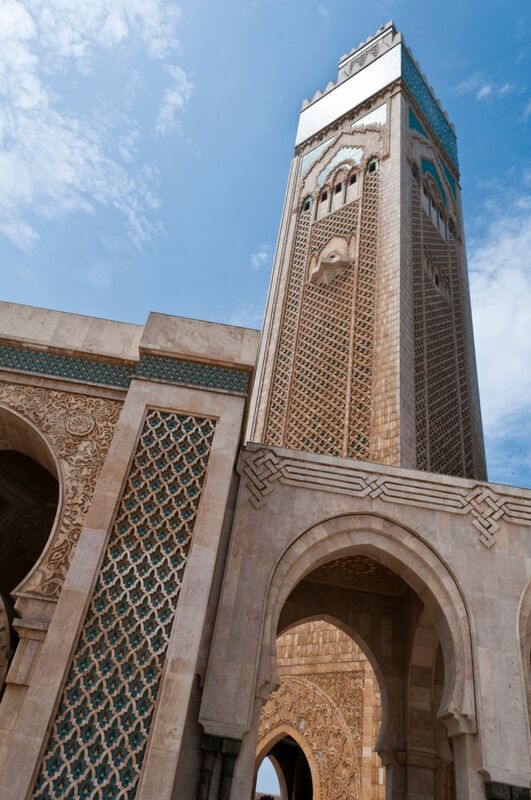 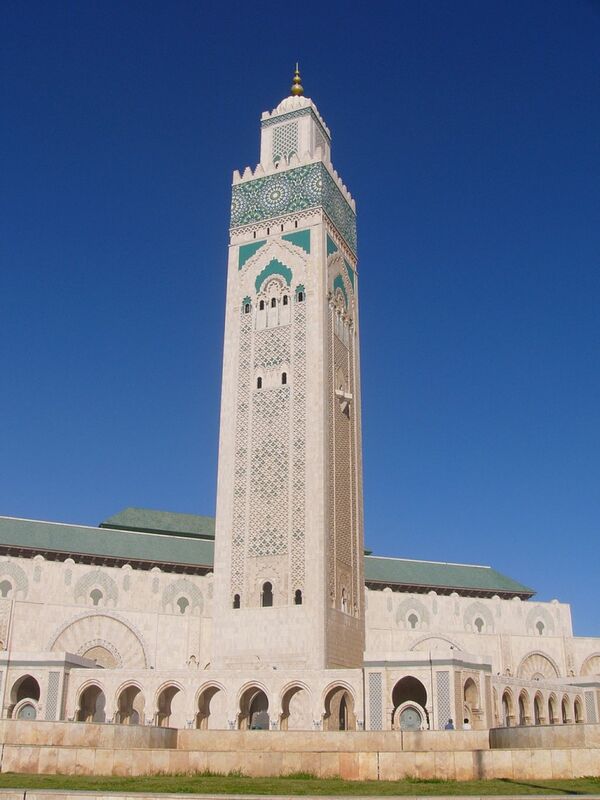 The North African country’s largest mosque also claims the world\’s tallest minaret, a 700-foot tower overlooking the Atlantic Ocean. 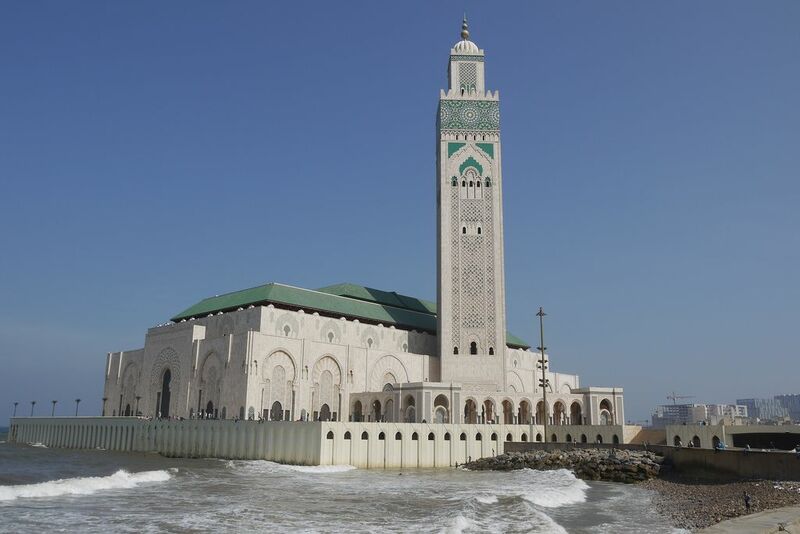 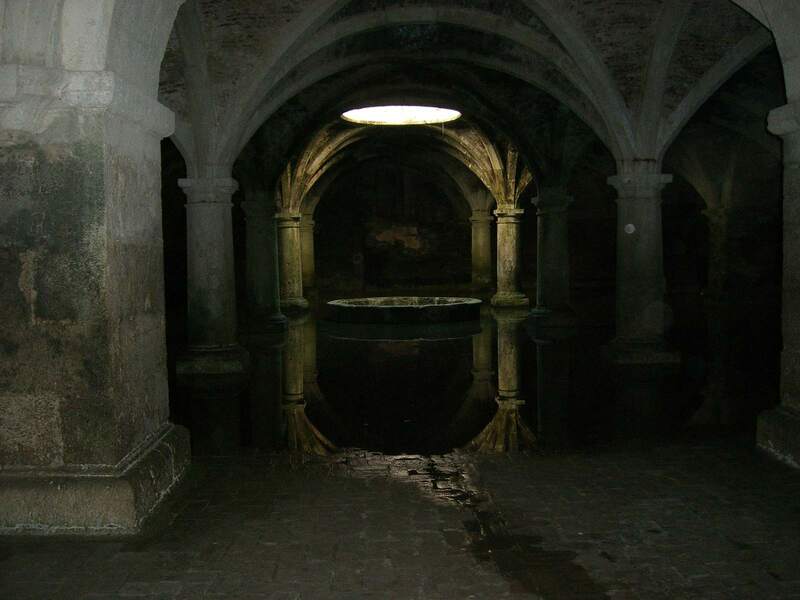 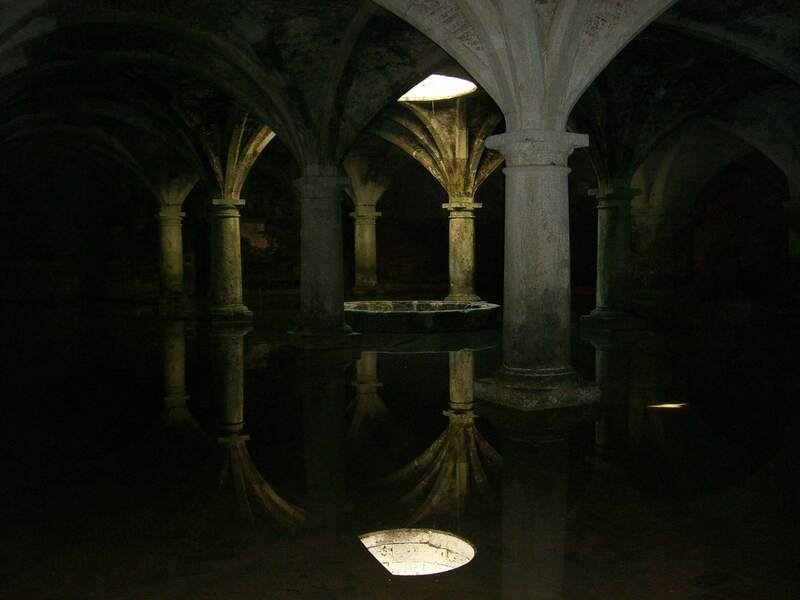 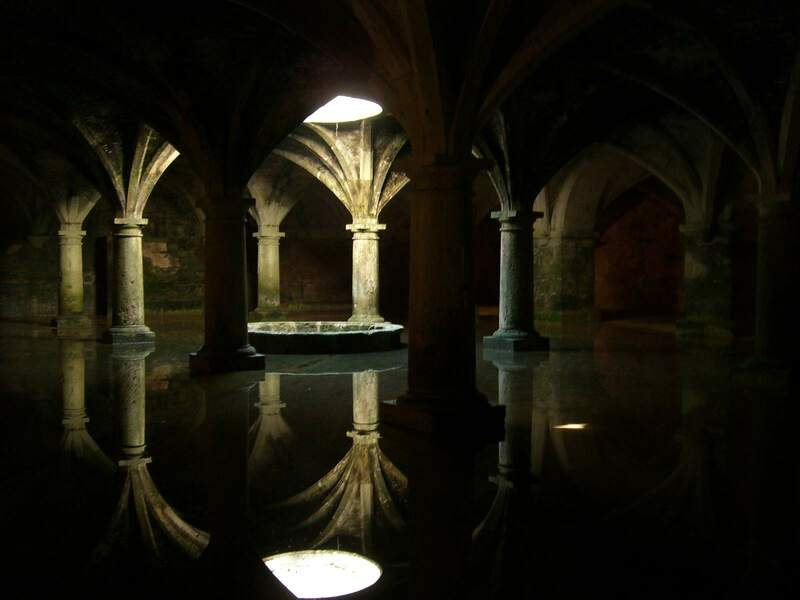 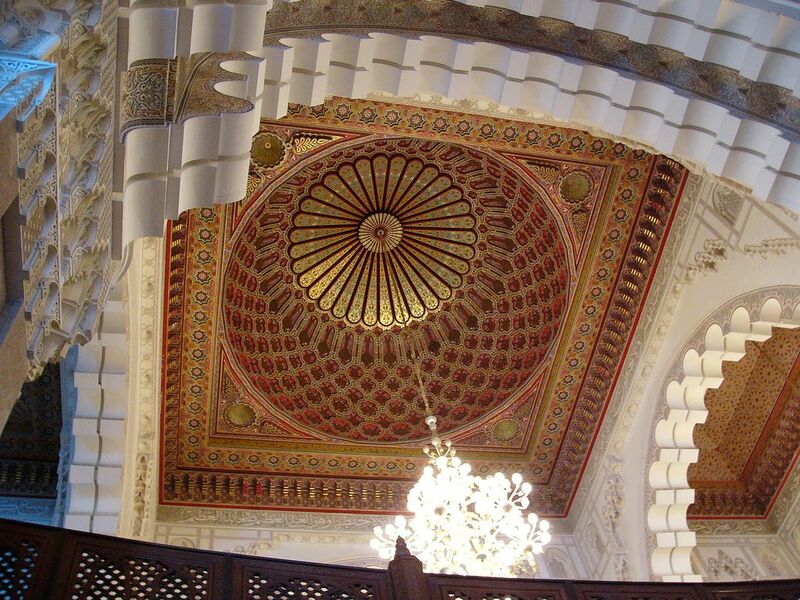 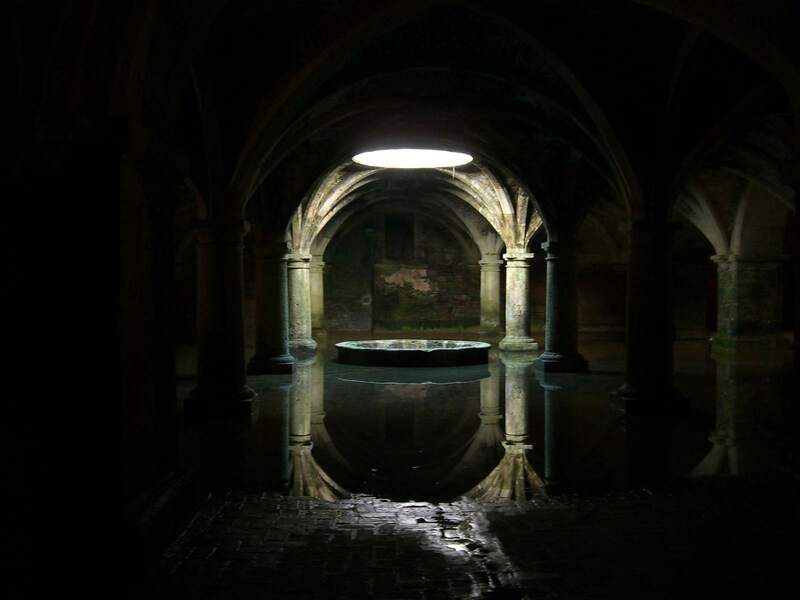 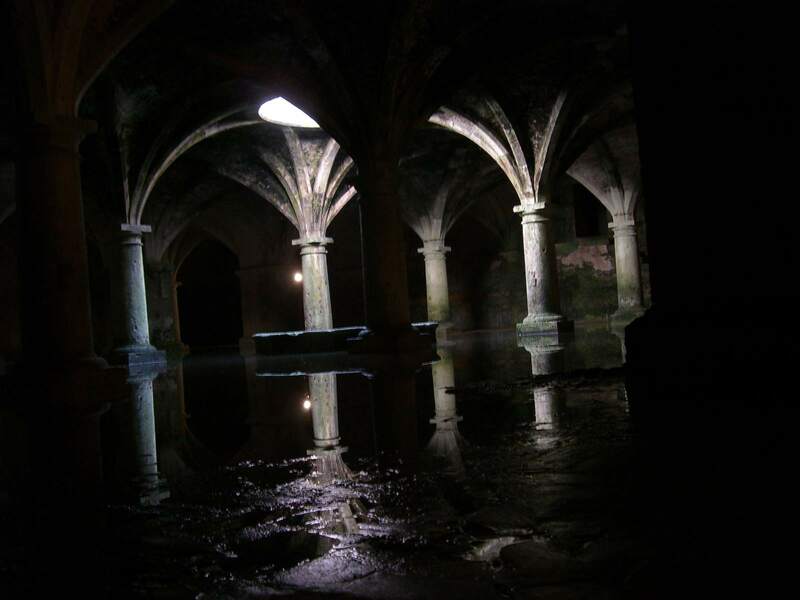 The main volume is 200m long, 100m large, and 65m high structure comprising the prayer room on the ground floor, and the ablution room and a public hammam in the basement, with its own entrance. 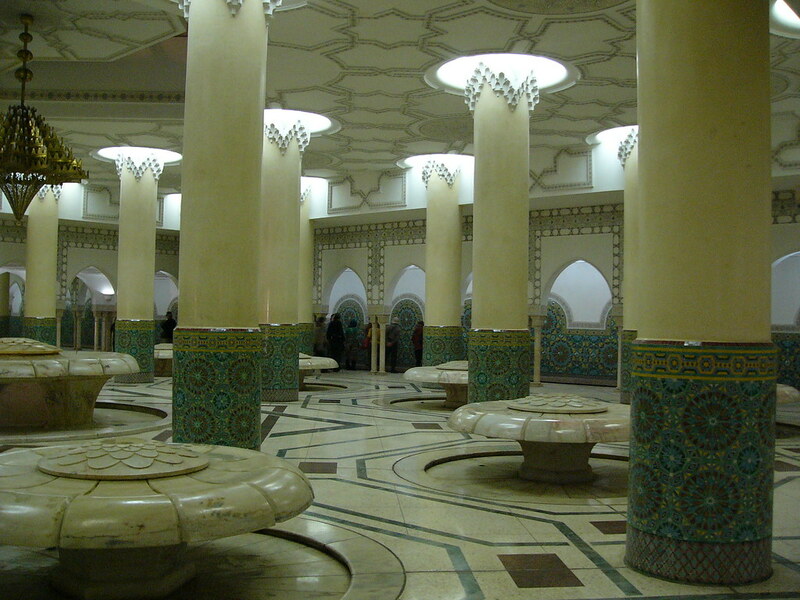 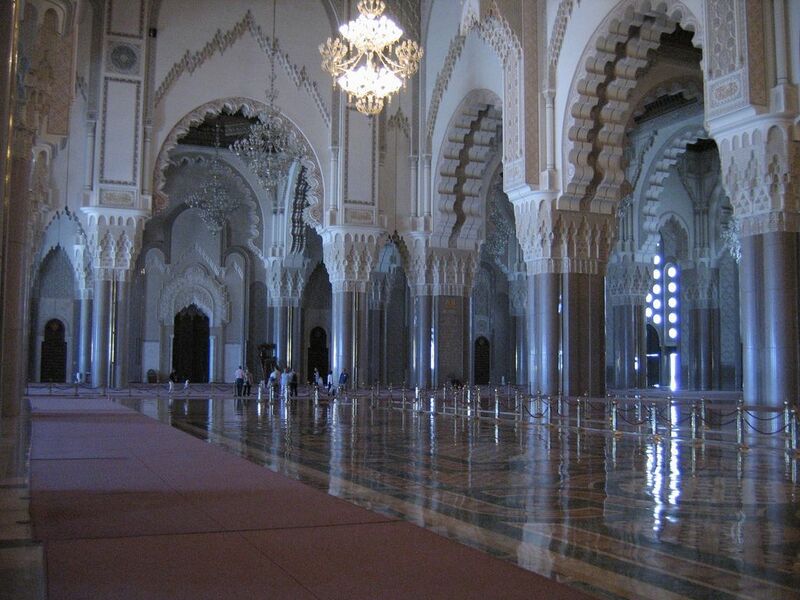 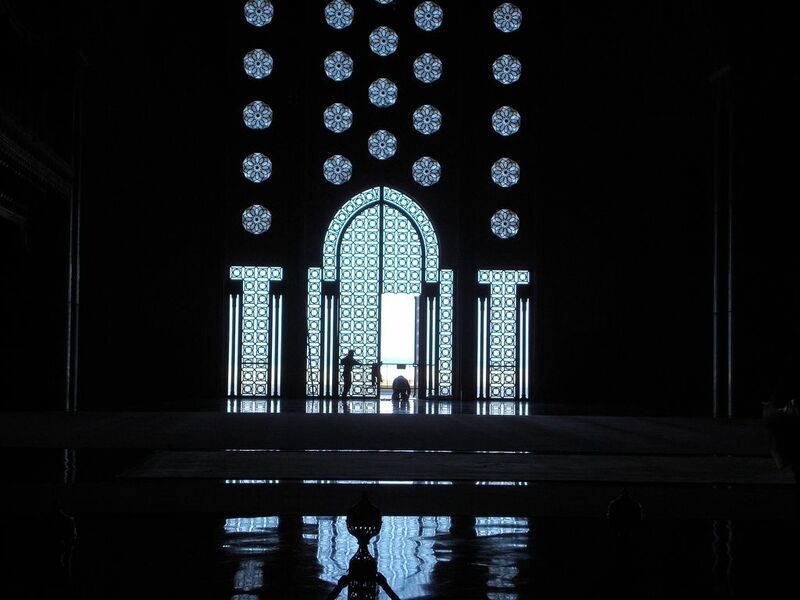 Inside the mosque, the prayer room occupies 20,000m2. 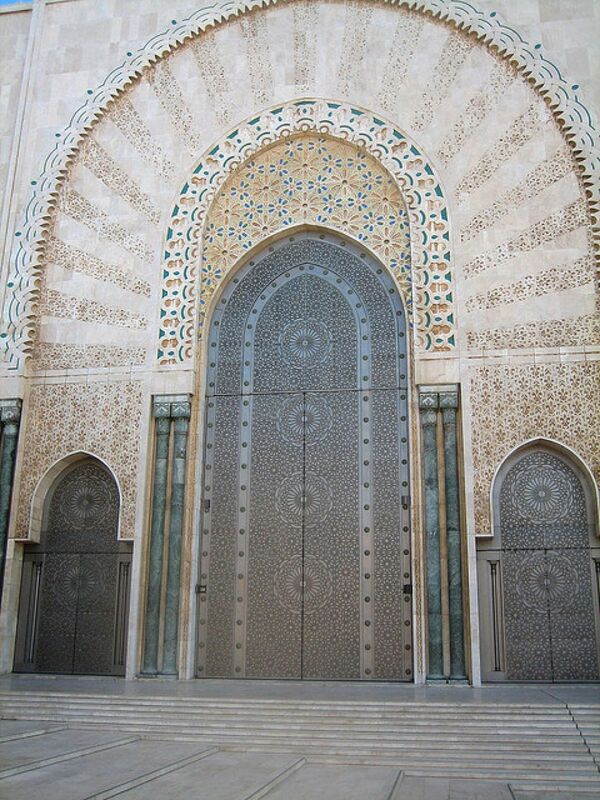 Titanium, bronze, and granite are featured on the exterior facades.